Judy will cover the history of miniature quilts, what constitutes a miniature quilt, tips on how she chooses patterns, fabric, piecing and/or quilting designs, and how she cuts and constructs them. 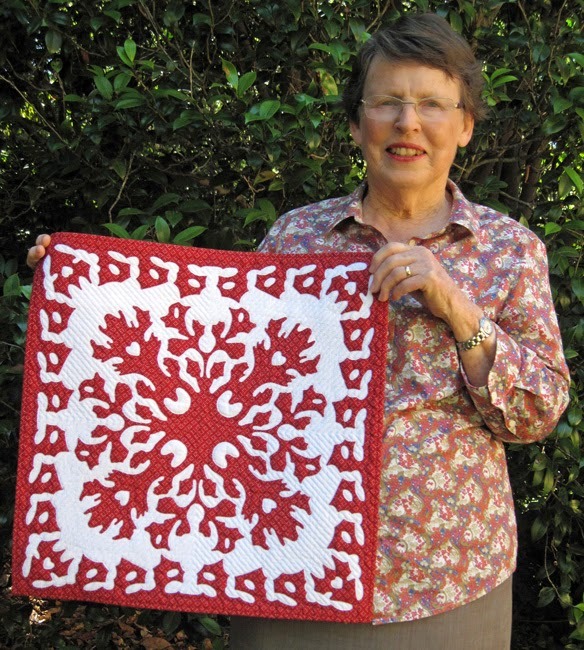 Come along to hear Judy speak about Miniature Quilts and see her wonderful collection at the Quilt Study Group of NSW talk. The talk will start at 2pm on Saturday 7th March 2015. The venue, The Meeting Room at The Glover Cottages, is at 124 Kent Street Sydney and is an easy 10 minute walk from Wynyard and Circular Quay train stations. Entry is $5 for Quilters' Guild members and $10 for others. Afternoon tea is included.